Good News? We got an adorable Valentine in the mail today from our Aunt Becky. Is this not the cutest little iLuv you've ever seen? (Sweetarts box w/ Reeses ear buds.) Such a fun package to get. Thank you Becky! Bad News? All the candy is gone. Bad News? We're going to be living in the truck for the next 10 days just to dirty it all over again. You might be wondering why we didn't wait until after the trip to clean the truck, but no one could stand the thought of driving that far and long breathing in the smell of....well my bro.-in-law said it best, "smells like a dead guinea pig in here". Good News? Those 10 days include a trip to DISNEYLAND!!! Yes, that's right folks, the Manwarings are going to Disneyland. We've never taken our kids and we just decided that they are only getting older not younger. We might as well go before the magic is gone for them. (Jarom and I have only been once before and we were engaged at the time. We went with his family and saw Sea World, Universal Studios, Disneyland, and Jarom's mission all in the space of a week. Our camera was stolen so we have very few pictures of ourselves there, and even fewer memories of it. It was a LOT for our brains to take in.) We are all so excited and can't wait for some warmer weather too! Bad News? Well...there just isn't any bad news associated with that. 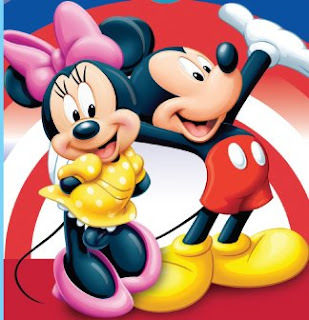 We're going to go see Mickey and Minnie!!! Hooray! Hey, we're making those same Ipod valentines tomorrow! Hope ours turn out as cute as yours. Okay, now I'm switching gears into jealous mode -- clean car AND Disneyland!? JK, I'm thrilled for y'all. Can't wait to hear all about it when you get back! Have tons of fun! Have fun! When do you leave? LUCKY DUCKS!! I have never been to Disney Land just Disney World and my oldest son was 2 and Mickey was a 6' rat to him and he wanted NO part of him at all so no pictures but it was funny. Have fun! what a fabulous vacation. and right now is the absolute BEST time to go (not many crowds and most everyone is in school) this is the time that we would go when we lived in So. Cal. have so much fun and take TONS of pictures. We made those for the 1st grader- only we skipped the ear buds and just made the box. They'll get the gist. Disneyland? I'm there! Hope there's room in the truck for me! Oh How fun! Have a wonderful time and I want to see pictures. i feel like a superstar being mentioned on your blog! (: glad you liked it. and we are SO JEALOUS about your trip we can't even see straight. every time owen sees mickey mouse on the disney channel (WHICH IS A LOT) he says..."carter gets to see mickey mouse clubhouse!". have fun! we will miss you guys! oh how fun! I am soooo excited for you! I get chills whenever I think about our trip to Disney World, it is sooo amazing! Take lots of pictures and let your kids stay up late and take it all in...have a great time! "Our camera was stolen so we have very few pictures of ourselves there, and even fewer memories of it." You have JUST reminded me of Brynne. She said she and Aaron were mugged coming out of Disneyland. The guy walked right up to them, threatened them with either a knife or gun (can't remember) and took their wallets. SO! Now I'm all worried. TAKE NEXT TO NOTHING....and guard that camera! Have Jarom brush up on his JUno ChOP! Even better news? You are going to see your favorite brother and sister-in-law while you are on your trip! and miss me BY ONE STINKING DAY!!!! I'm still miffed about that! But--you guys have a blast and make sure to give Jarom big props for that perfect gift!!! Oh I can't wait to hear all about it! 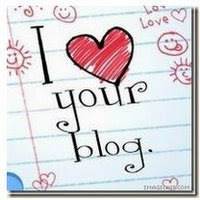 I hope you can blog along the way. I love Disney and am ready to take my girls as well. Hope you have a blast...in your clean truck! Have a SUPER trip to the Happiest Place on Earth! !